Easter is just around the corner...time to get those baskets ready! If you're looking for an alternative to the cheap throw-away baskets that are often used, try handmade. 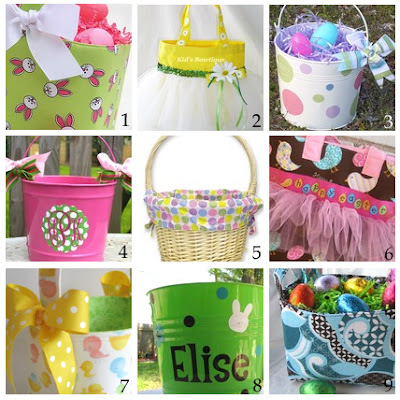 From handpainted buckets to fabric totes, there are lots of handmade options for Easter baskets, many of which can be used for other purposes long after the holiday has passed.